When I decided to take a sabbatical in South America, I researched a few different ways to explore the countries I wanted to see, and the Bamba Bus seemed like a straightforward option for Bolivia and Chile. In late May, I travelled from Puno on the Peruvian side of Lake Titicaca, via the beautiful Isla del Sol and on to La Paz. Come prepared for rough roads - Bolivia is the poorest country in South America and also has the highest elevation, so travelling around is quite rough and ready. 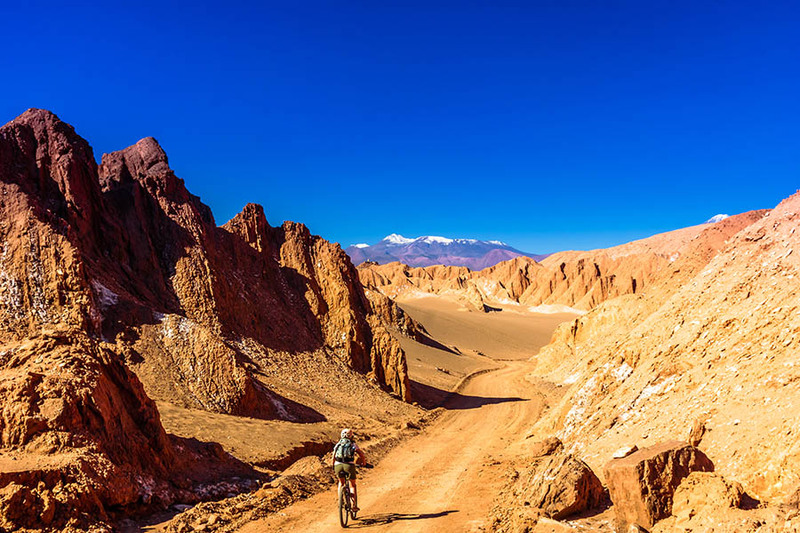 That said - any discomfort is offset by seeing some of the world’s most beautiful natural scenery and the cost savings of using the bus – one of the best ways to cover ground in South America. Bamba Bus operate throughout South America and use a network of public buses, boats and trains to tailor-make journeys that give you independence and flexibility. You can hop on and hop off as you choose, but at the same time you can travel like a local and meet other travellers. There are lots of routes across the continent - and Travel Nation can use these routes to create all or part of your trip. Arriving in La Paz is a dramatic encounter, whether you arrive by road or air. The airport is over 4,000 metres above sea level, flanked by steep mountain ranges. Arriving by road, you’ll approach from the top of a valley where you’ll see La Paz is surrounded by snowy mountains which tower over the sprawling city below. This city is so high that it’s simultaneously cold, yet easy to get sunburnt. Be sure to bring a woolly hat, gloves, scarf and factor 50 sunscreen– they’re all essential. Try not to arrange to do too much for your first couple of days as your body will take a while to acclimatise to the altitude. I found my heart liked to add an extra beat to get in the oxygen - apparently, that’s quite normal, but it was slightly disconcerting if you’re unprepared. We also visited some local witch doctor’s markets and took a few trips on local buses which would have been tricky to negotiate without a guide and. You’ll see all sorts of crazy things at the market including llama foetuses and medicinal plants which reputedly cure any ailment. La Paz is a spectacular city and well worth a couple of days of exploration. I’d recommend a journey back up to the top of the valley just for the views over the city. Some of the houses seem to defy the laws of gravity, and you’ll have views over distant peaks including Illimani at 6,438m! Next, I took the bus from La Paz to Uyuni salt flats. You can visit the salt flats either as a round trip from La Paz or as I did as part of a one-way trip to San Pedro de Atacama in Chile. Outside of La Paz, you soon notice the roads deteriorate considerably so the bus journeys won’t be the most comfortable, but they’ll certainly be spectacular. 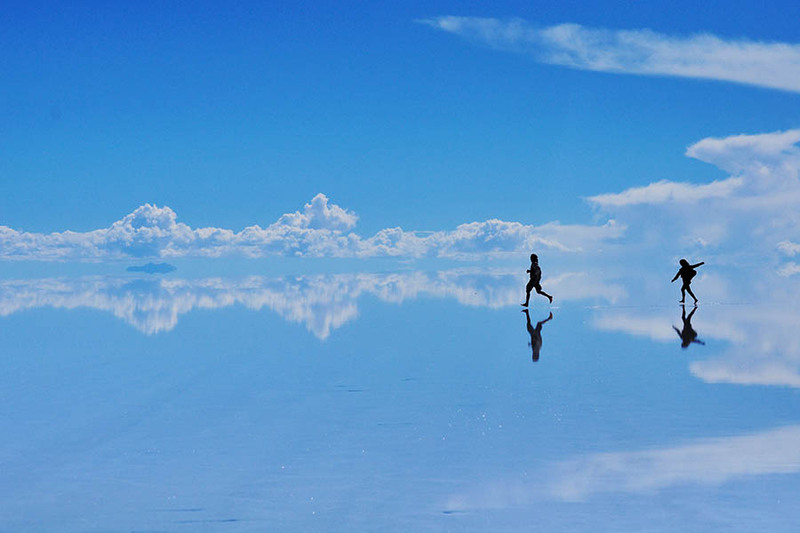 The Uyuni salt flats are one of the country’s highlights – probably in at number 1. 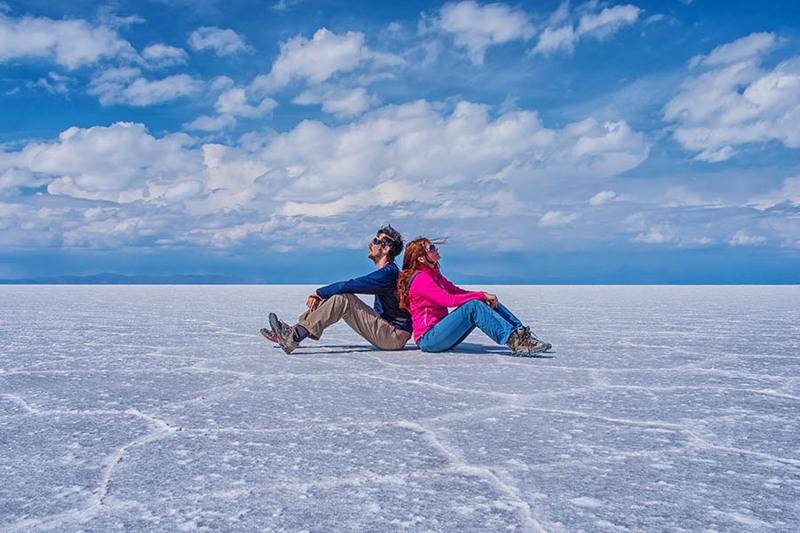 If you’re planning to join a tour, it’s best to arrive in Uyuni the night before, as all of the 4WD tours will start early in the morning. From the moment you arrive, you’ll head off into the most surreal landscape – a place that time forgot. 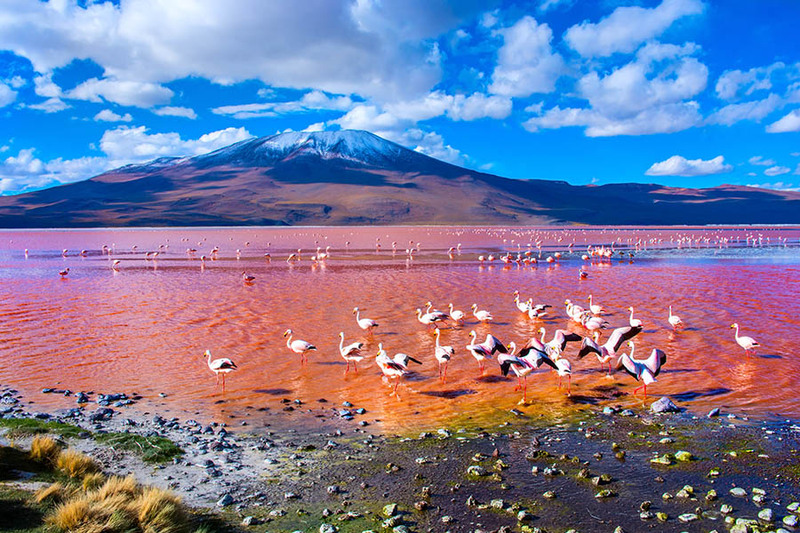 You’ll see some amazing rock formations as well as hundreds of wild flamingos, giant cactus islands, a train graveyard, beautiful volcanoes and frozen lakes. Standing on the shores of one of the volcanic lakes I couldn’t fathom what was making the eery noise I was hearing, but it turned out to be the wind blowing the ice up over the end of the lake. The views are of endless white, flat, salt plains and they provide visitors with endless crazy photo opportunities (I knew that plastic dinosaur would come in handy). 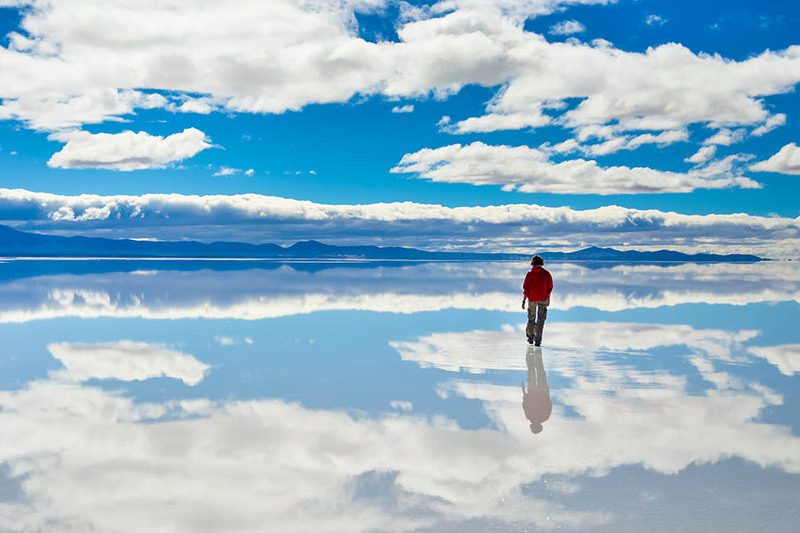 Tours through the salt flats can be pretty basic, but this place is worth the visit. 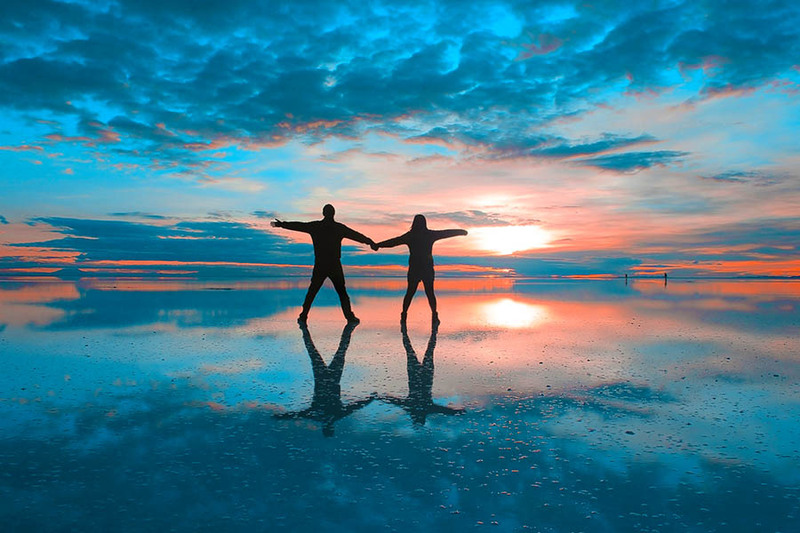 The sunsets in my home city of Brighton are pretty good in the winter, but watching the sun setting against the vast expanse of the salt flats is one of the most remarkable sunsets I’ve ever seen. We spent the night on the salt flats staying next to some thermal springs, so after dinner, we all stripped off for a dip. Donning our swimming costumes, we ran the 30 metres at -25C into a very hot thermal pool which was a bit of a shock to the system. I’ve never seen so many stars as that night when we were soaking in the thermal pools; the Milky Way was just amazing - so peaceful and beautiful. Getting back out into the freezing night was much less fun, but you’re provided with a fur-lined sleeping bag and hot water bottle so once you’re wearing all of your clothes, you’re soon warm. 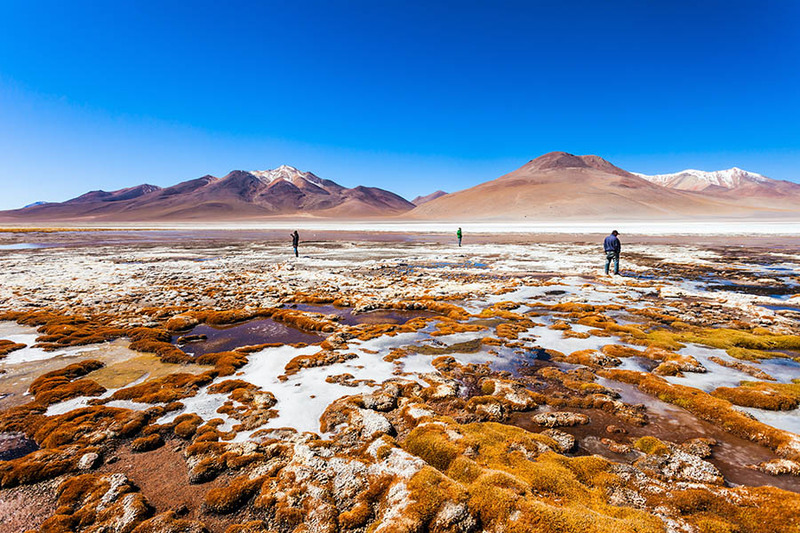 After Uyuni, I waved goodbye to the rest of my group who were headed back to La Paz, and I continued to my next destination - the Atacama Desert. As the bus made its way into Chile, we were back into the land of the paved superhighway, with a 1,500m drop in altitude and a welcome, 15-degree increase in temperature. San Pedro de Atacama is a pretty little town in the desert, and I found it easy to cycle around - there are bike hire shops all over town. I felt like I’d arrived in the Wild West; it’s a town of dirt streets, adobe houses, and saloon doors. Despite its rustic charm, I was relieved to find some wi-fi in the main square, and felt like I’d re-entered the twenty-first century! From the town, there are plenty of things to see and do. I recommend a visit to Moon Valley, which is another amazing natural landscape nearby – 17km from the town. It’s another surreal landscape eroded by the wind and water to form a terrain that looks like the surface of the moon. I visited at sunset which is the best time to go, just as the moon is making its appearance on the horizon. 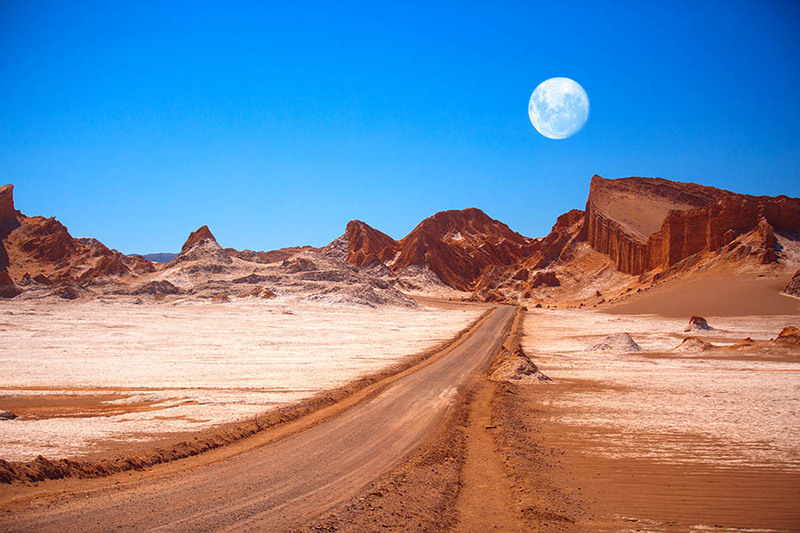 From San Pedro de Atacama, you have several options to continue your journey; you could continue into Chile and make your way down to Santiago, or you could travel on to Salta in northern Argentina and explore through Argentina and perhaps into Brazil. 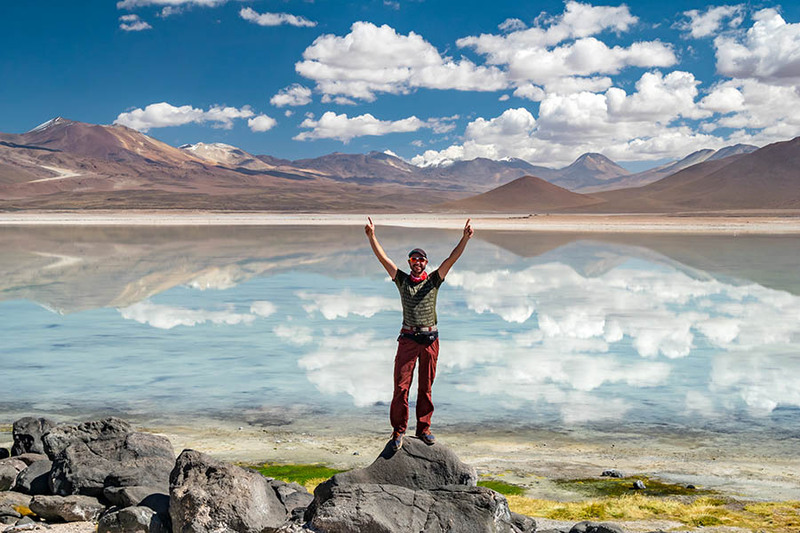 There are so many ways to discover Bolivia; independently by bus as I did, with a small group tour, or as part of a tailor-made itinerary specifically designed for you - see our Bolivia trip ideas for inspiration. There are many different options for the Bamba Experience, and we can happily recommend a route and a package to suit you. 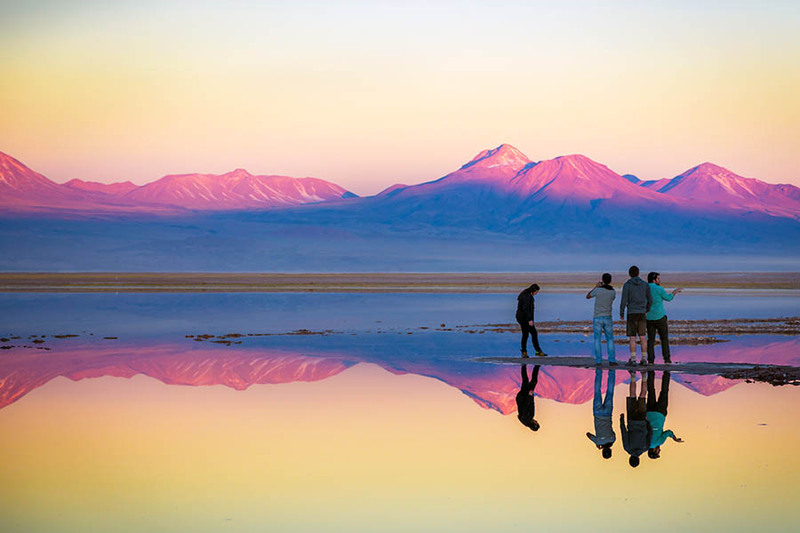 We can plan your entire Bolivia trip and show you how to combine this country with other destinations in South America or further afield – see our Bolivia tailor-made holidays for a few ideas. To start planning your trip, call us on +44 1273320580 or request a quote by email.